Some people choose to let and manage their properties by themselves, but I feel that I do not have enough knowledge and experience to succeed in this area at the moment. I also value my time, and property management can be very time consuming, so I am happy to pay for this service. Businesses are always evolving with the times, and letting agents are no different. There are now a number of online letting agents offering some attractive fees as they don’t have the typical overheads of a traditional high street letting agent. However, I have not taken the giant step to try these yet, so my experience and advice is based on the traditional method. The best way to find a reputable letting agent is by word of mouth, but if you are not fortunate enough to be given any recommendations, it is important to spend some time visiting and questioning local agents. I approach at least 3 letting agents when I have a property to fill. I also visit their shop to get a feel as to how they look and operate. Image can be important for a potential tenant, so I am always keen to checkout the shop front for myself. The location of their office is also important to me as I like to see them located on a busy high street with a large footfall. That said, most people probably search online when looking for somewhere to rent and then telephone and meet the agent without stepping foot in their shop, so maybe it doesn’t matter so much these days, but as a landlord and an investor, I struggle to ignore this factor. Ask the letting agent which scheme they belong to. 2. For transparency, from 27 May 2015, letting agents must publish full details of their fees and charges for both landlords and tenants, on their websites and in a prominent position in all their offices. I will always check the associated fees before I enter into negotiations with any agent. LEVEL OF SERVICE & FEES? 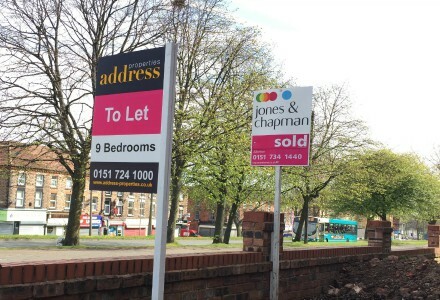 Advertising your property on popular portals like RightMove and Zoopla. I was recently quoted £195 + VAT for this service. You can expect to pay anywhere between the equivalent of 2 to 4 weeks rent for this service. (Note: Some letting agents charge separately for some items e.g. certificates, to give landlords the choice of purchasing them for themselves. This can be cheaper for the landlord as agents typically add a percentage to cover their time for arranging these). The agent will normally deduct all setup fees from the first months rent. This covers regular inspections and the ongoing day to day management of the property. The tenants will contact your agent, instead of you, if they have any questions, queries or problems. This is a great option for landlords who are in full time employment. You can take a look at my Income Report for September 2015 to find out how much I paid for a recent setup fee with a full management service. Remember what I wrote on my previous post about Making An Offer? – everything is negotiable! 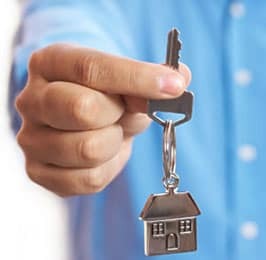 Now that you have an understanding of the different types of services letting agents provide, you can start your search by visiting The Association of Residential Letting Agents website. This is my last post in the Start Here section! If you have read through all of them, congratulations! This is the first sign that proves you have enough interest and determination to make a success from property investing. Your next move is to TAKE ACTION and make things happen, one step at a time. Property investing is a people business, but it can also be a lonely business at times. Please subscribe to my newsletter to receive further content in the future, that will be geared towards education and keeping you motivated to succeed. Was this post helpful, or do you feel you still have some unanswered questions? Please leave a comment in the box below. Thanks! Thank you for your feedback Will, it is greatly appreciated! Best of luck in appointing a letting agent and don’t hesitate to get in touch if you have any questions.